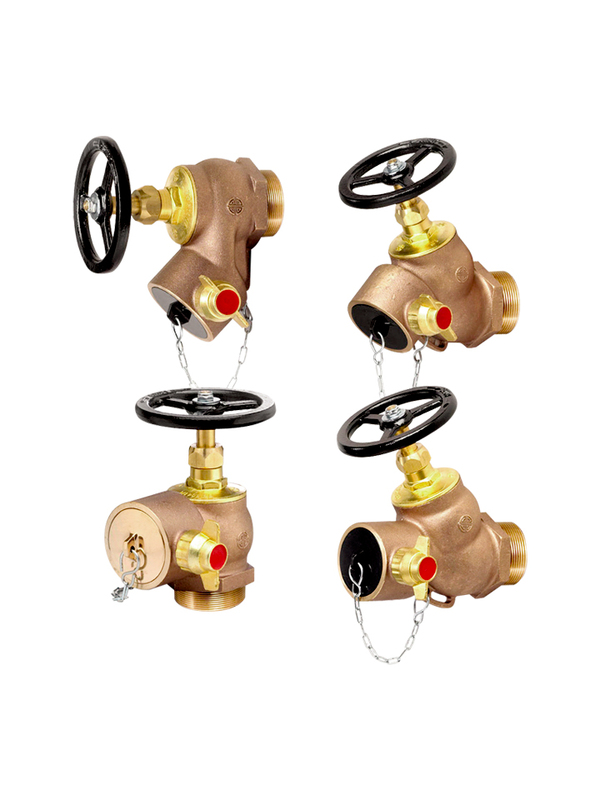 “AE” range of 65mm “low-pressure” globe pattern hydrant valves with screw inlet connections comes in four different configurations, namely the “Oblique”, “Right-Angle”, “Bib-Nose” and “Horizontal” patterns. The design and construction of the hydrant valves are strictly in accordance with BS5041:Part 1:1987 and generally to BS5154:1991 standards. These valves are suitable for both on-shore and off-shore fire protection applications. The selection of materials for the manufacture of the valves are all corrosion resistant, tough and durable. This ensures the product long-life plus providing an efficient service in the time of need. The shut-off of the valve for good water-tight sealing is achieved by using a high quality rubber bonded seat disc which acts as a primary rubber to metal seal, whilst a secondary metal to metal shut-off is also incorporated in the design of the valve. Every hydrant valve manufactured is hydro statically tested to 16.5 bars and 22.5 bars for the valve seat and body respectively. The internal casting finishes of every valve is of high quality ensuring a low flow restriction that meets the standard’s water flow test requirement. The hydrant valve comes complete with standard “black” (“Red” is optional) plastic blank cap and chain. Alternative blank caps made of aluminium, brass or gunmetal are also available upon request. Compact and elegant design with excellent flow characteristics.